Cucumber Tuna Bites - Let the Baking Begin! Cucumber Tuna Cups – tasty, fresh appetizer that looks and taste great, be it a snack or a meal. Combination of the crunchy cucumber, cream tuna and avocado are a match made in heaven! Hi everyone! How are your new year resolutions going? Since many make a resolution to eat better in the new year, here’s a recipe to help you along the way. I love myself a good tuna sandwich with fresh crunchy cucumbers, but sometimes when you want to stay away from carbs these cute Cucumber Tuna Cups can come really handy. The lean unsaturated fats in both the avocado & tuna, plus omega 3 fatty acids are a bonus. 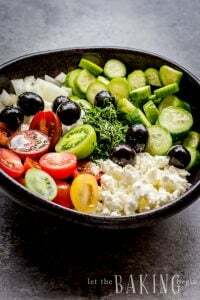 But rarely does hearing why it’s good for me make it appetizing, so make it because tuna and cucumber together is a really great combination that comes with a pleasantly refreshing crunch! In a bowl combine drained tuna, mayonnaise, cheddar cheese, green onion (if using), salt & pepper. Stir until everything is well combined. 2. Cut cucumbers into 2/3 of an inch to 1-inch pieces. Using a Melon Baller or a teaspoon, cut out an indentation about /14 inch deep. This is just to keep the filling in place. Then using a Small Cookie Scoop or a spoon fill each cucumber cup with about a tablespoon of the filling. 3. Top with a piece of an avocado and a shred or two of cheese for garnish. 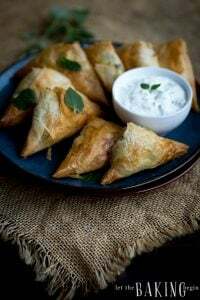 Spinach & Feta Phyllo Appetizer – Greek pastry hand pies filled with spinach and feta cheese. Marinated Cheese Appetizer – Simple and delicious marinated cheese recipe. Portobello & Brie Crostini – A creamy mushroom and brie spread on bread. Author: Marina | Let the Baking Begin! 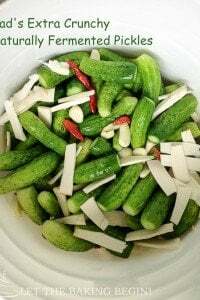 Cut cucumbers into 2/3 of an inch to 1 inch pieces. Using a Melon Baller or a teaspoon, cut out an indentation about /14 inch deep. This is just to keep the filling in place. Then using a Small Cookie Scoop or a spoon fill each cucumber cup with about a tablespoon of the filling. Top with a piece of an avocado and a shred or two of cheese for garnish. 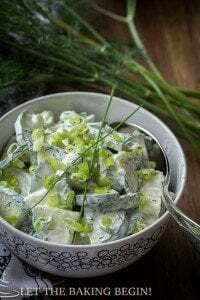 Cucumber Salad Recipe with Dill and Garlic - Let the Baking Begin! Yum! These look so fresh and delightful! 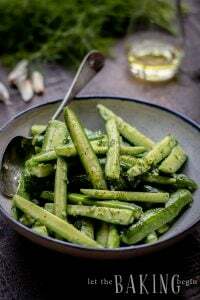 Easy to make and healthy! I love the food that makes you think that you are indulging but doesn’t pack a day’s worth of calories. Marina, ти прелесть. Love it. looks very easy to make and delicious. who doesn’t like fish, can make with chicken. You’re having me blush over here))) thank you!